Jop Briët graduated from CWI in 2011; his advisor was Harry Buhrman. He enjoys problems at the intersection of theoretical computer science and pure mathematics. After a stint as a yogi during a postdoc at the Courant Institute in New York City, he returned to rock climbing in the flattest country in the world. Oded Regev graduated from Tel Aviv University in 2001 under the supervision of Yossi Azar. He spent two years as a postdoc at the Institute for Advanced Study, Princeton, and one year at the University of California, Berkeley. 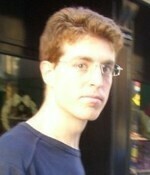 He is currently with the Courant Institute of Mathematical Sciences, and enjoys life in NYC. 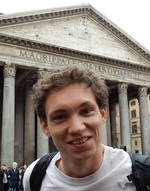 His research interests include computational and mathematical aspects of lattices, quantum computation, and other topics in theoretical computer science. 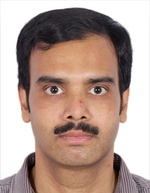 Rishi Saket completed his Ph.D. from Georgia Tech in 2009 under the supervision of Subhash Khot. After post-doctoral stints at CMU, Princeton University, and IBM T.J. Watson, he joined IBM Research, Bangalore, India in 2013 where he is currently a researcher. His interests are in hardness of approximation, approximation algorithms, optimization, learning theory, and related areas of theoretical and applied computer sciences.